If no one is going to be in the house over break – you need to make sure the house is secure. This means all doors locked and all windows locked. It probably would be a good idea to have someone drop by the house every few days to check on it to make sure everything is ok.
Also, you need to make sure that the temperature is turned down. No need to pay to heat a house that is empty. Also, if you live in a part of the country where pipes can freeze – move. If you can’t move, then be sure to leave a faucet dripping. A burst pipe can cause a ton of water damage and would be a crappy way to start your next semester. Be sure all the fraternity bills have been taken care of. Be sure the utilities are paid. Be sure the rent/mortgage is paid. If you have any vendors that need to be paid, be sure you take care of that. You want to start the new year on solid financial footing. Don’t overlook your financial obligations. When you get back in January, you will be thrown back into rush almost immediately. And that isn’t the time to be scrambling to tie up fraternity recruitment loose ends. Be sure you recruitment chair has a solid plan and has completed all the preparation and scheduling required to for rush. Also, forward him my series: 31Days to Better Fraternity Recruitment. 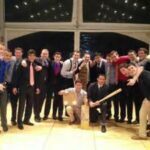 There is a ton of great tips in there which will help your chapter succeed during spring recruitment. The spring semester is very fast. January is rush. February is short. March is spring break (and the Wolfpack’s march to the Final 4). April is Easter Break. May is exams. Then it is summer break. Most chapters try to jam formal in there along with everything else chapters do. Because of all that is going on, it is often easy to forget about taking a gauge on the health of the chapter. Be sure to take some time analyzing the needs of the brotherhood and where your fraternity stands. Are your brothers happy and excited about what the chapter has accomplished? Are they frustrated and unmotivated? Talk to brothers, and find out what they want to do. Find out what they are looking to get out of the fraternity. Then exceed their expectations. That is how you make a great fraternity. Take this couple of weeks to learn a few new tricks. You can only watch A Christmas Story and Christmas Vacation so many times. Spend some of your downtime learning more about becoming a better leader in your fraternity. You are off to a great start by reading this blog. 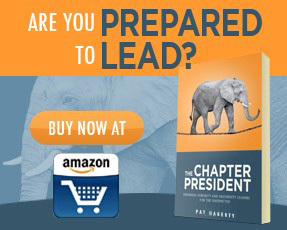 There is a ton of great info in here that will help you and your chapter. There are a ton of great resources identified on my fraternity resources page. Finally, I would really appreciate if you checked out my book – The Fraternity Leader. I am blown away by the positive feedback I receive from guys who have read the book and have been helped by it. Realize if you aren’t sure if it is for you, sign up for my free newsletter below and get a copy of the first chapter of The Fraternity Leader for free.